Raymond A. Graeca is CEO of the Penn Highlands Healthcare System. Graeca received his master’s degree in health service administration from Tulane University in New Orleans in 1973 and was previously President of DuBois Regional Medical Center from November 1990 to September 2011. He was president at Corry Memorial Hospital in Corry, Pennsylvania for 12 years and has also served in the administrative capacities at John Peter Smith Hospital, Forth Worth, Texas; Garland Community Hospital, Garland, Texas and Medical City Dallas Hospital, Dallas, Texas. Graeca served in the U. S. Army Finance Corps as an accounting specialist and was employed by the General Accounting Office in Washington, DC, as an account-auditor. He was on the board of directors for the Hospital Council of Western Pennsylvania for 22 years. He is also a Board Member of Western Pennsylvania – VHA where he also serves on the Finance Committee. He has been involved with the American College of Health Care Executives at the Fellowship level, American Hospital Association, Hospital Association of Pennsylvania, as well as several college advisory boards. He is a member of the Hospital Association of Pa. Strategic Planning Committee as well as the Tax Exempt Committee. Graeca is past chairman of the DuBois Area Economic Development Corporation and past chairman of the St. Catherine of Sienna (DuBois) Parish Council. He served for 6 years on the School Board of the DuBois Area Catholic School System, and is currently a member of the school Finance Committee. Graeca also is a founding member of the Free Medical Clinic in DuBois, and has served on the Board since its inception in 1997. He and his wife, Mary live in DuBois. They have three children and seven grandchildren. 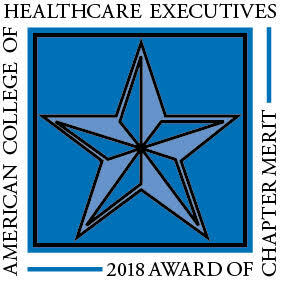 ACHE provides an opportunity for healthcare leaders at all levels to become a member of a professional organization that offers educational opportunities, networking events, professional development, and resources on the latest healthcare trends to keep you and your organization ahead of the curve. I joined ACHE as a student and have renewed my membership each year. ACHE is well worth the investment and has been part of my professional development my entire career. How has ACHE contributed to your career and professional development? Healthcare is a rapidly changing and evolving industry, and through my ACHE membership I am able to further my professional knowledge on the local, regional, and national healthcare activities and trends. The educational sessions and seminars being held at the local and national level are very valuable for healthcare leaders to be able to share best practices, pursue new ideas, and develop strategies. Through by attendance in the various seminars and networking events I have established relationships with other healthcare leaders that I am able to use as consultants and share ideas with. How does ACHE impact your team in your workplace? ACHE offers many educational opportunities that can be very beneficial for your team. As Penn Highlands Healthcare System continues to expand, I encourage my team to become a member and to review the educational opportunities for their own professional growth and development. For example, we recently sent some of our leaders to a contract negotiation session; an opportunity our organization was not able to offer, but ACHE was a great resource to fit our need. What would you say to those who are considering signing up for ACHE? As stated before, the educational and networking opportunities are endless. The informal networking opportunities have made an impact on my career and my success as a healthcare leader. I have established great partnerships over the years that may have started over a lunch break during an educational session. What would you say are some of the benefits of participating in the local chapter events? The local ACHE chapter events provide networking opportunities for all levels from students to executive level leaders. The local educational opportunities that are offered throughout the year have been very beneficial and the convenience of being able to drive to an event and drive home the same day is invaluable. It is also a good way for students to begin to meet and learn from healthcare leaders throughout Western Pennsylvania. I have met great students that I have been able to serve as a mentor and provide recommendations as they start their first job or internship.